Although cannabis remains illegal on the federal level in the U.S., many individual states have legalized cannabis for valid medical purposes. 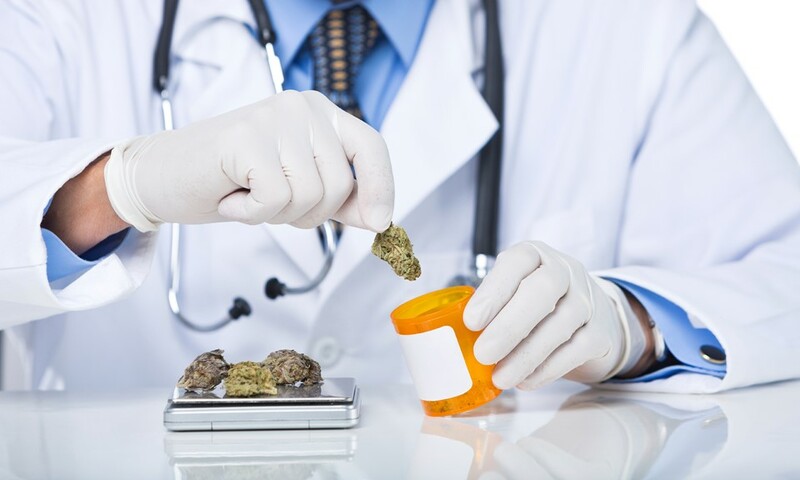 This list provides each state’s qualifying conditions, as well as a rundown of which medical conditions and symptoms must be verified by a physician in order to get authorized as a valid medical marijuana patient. Once you've determined that your condition or illness qualifies you to participate in your state's medical marijuana program, your next step is to find a doctor or clinic that can provide a recommendation for you. Check out our simple step-by-step guide designed to help you find a physician or clinic that specializes in medical marijuana recommendations. Forget the stereotypical images of cannabis use from the 60s; cannabis in the 21st century is not what you might expect. Get informed with this handy guide to understanding what it means to be a responsible patient in your state. Curious about how cannabis will affect you, or the best and easiest ways to find medical cannabis? Find out the answers to your most basic cannabis questions. Which U.S. States Accept Out-of-State Medical Cannabis Authorizations? While not all states accept out-of-state authorizations, some do. Check out this list for up-to-date information on which states will accept your valid authorization in case you're looking to travel soon. Cannabis strains are sorted into three categories: sativa, indica, and hybrid. These three groups form the pillars of Leafly’s strain database, and can help consumers know a little more about what to expect when they consume medical cannabis. The non-intoxicating, highly therapeutic compound in cannabis known as CBD has sparked a revolution in medical marijuana. But what is CBD exactly and how does it differ from THC? Studies have demonstrated CBD’s benefits in treating everything from epilepsy to anxiety disorders. Find out how CBD can be extracted and processed into a variety of medications for different needs and lifestyles. Not everyone likes to smoke, and those with compromised lung health may not even have the option. If you’re looking for a more health-conscious route to cannabis, consider this list of smoke-free treatments. Many of us new to cannabis-infused food fall victim to the same mistake: we eat too much. But when consumed responsibly, edibles can be potent and body-focused, making them perfect for people who suffer from pain, nausea, or lack of appetite. Learn more about cannabis edibles via our easy-to-follow resource. Due to restrictive laws, you may have never seen the sight of a real, living cannabis plant. But when you examine a bud up close, you’ll notice a complex knotting of different parts, from fiery orange hairs to sugary crystals and chunky knobs enveloped by tiny leaves. This guide to cannabis anatomy will break the plant down piece by piece so you’ll know exactly what you’re consuming and why. Two things influence the structural formation of a cannabis plant: genetics and environment. This guide explores the evolution of the cannabis plant, and unpacks the factors that go into making each plant unique. In this episode of Leafly’s Cannabis 101 series, learn about the chemical compounds that offer the wide array of effects and therapeutic benefits associated with cannabis; primarily, THC and CBD. The Journal of Neuroscience recently released a study showing that daily cannabis use did not induce structural brain changes. The study compared MRI scans of adult consumers against non-users, as well as adolescent users and non-users. An edibles manufacturing company in Boulder, Colorado, designed the industry’s first extended release formula to deliver measured doses of concentrated cannabis over a time frame of up to 12 hours. Find out more about what this means for medical cannabis patients. In 2014, the Drug and Alcohol Review released a study which found that 92% of medical cannabis patients in California felt medical cannabis was helpful in treating their disease or illness. Chronic arthritis affects 52.5 million adults in the United States, and is expected to increase to impact 67 million people by 2030. One alternative for full body pain relief and anti-inflammation is cannabis. 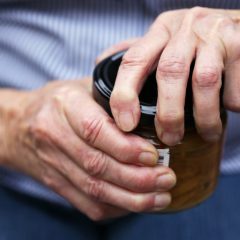 Find out more about the states in which arthritis is considered a qualifying condition, as well as how cannabis might be able to help repair arthritic joints. Popular stereotypes might not link cannabis with concentration and cognitive performance. But recent studies exploring cannabis as an alternative treatment for attention deficit disorders found that cannabis can improve ADD/ADHD symptoms. Find out more about how the compounds found in cannabis can potentially correct the dopamine deficiency in ADD patients. Throughout its prohibition, cannabis has been considered a “coping” drug for people with post-traumatic stress disorder, or PTSD. But while many studies point out the prevalence of cannabis abuse, some emerging research is looking at the question in reverse: could cannabis be effectively treating PTSD? According to a 2015 report from the California Men’s Health Study, cannabis use was associated with a 45% decreased risk of bladder cancer. It’s just one of the findings linking cannabis to the successful slowing of cancer progression. Despite the recent surge of parents reporting that CBD-only treatments have helped control their children’s seizures, physicians are hesitant to recommend this regimen due to the shortage of clinical testing. However, some studies have started to explore the connection. Find out more with this roundup of the information currently available to parents. Few medical conditions can detract from a person’s sense of health and happiness like HIV/AIDS. In the past few decades, medical marijuana has become an increasingly common prescription for HIV and AIDS patients as they attempt to manage the many devastating symptoms of this disease. Spinal cord injuries (SCI) are uncommon but can have permanent and devastating effects on one’s daily life and well-being. Medical marijuana offers patients an alternative regimen that treats the relentless and unpleasant symptoms of spinal cord injuries that can take a toll on life quality. Whether you're looking to help treat generalized pain, inflammation and arthritis, headaches and migraines, cramps, or other types of pain, these strain recommendations might be able to help assuage your pain symptoms. Combat your anxiety with this list of cannabis strains that may help with anxiety symptoms ranging from general anxiety, PTSD, social anxiety, OCD, or insomnia. These cannabis strains have a tendency to contain higher levels of CBD, which can deliver pain relief; anti-inflammatory, anti-epileptic, and anti-nausea effects; strengthen bones; and counteract THC-induced anxiety. Check out our growing list of high-CBD cannabis strains. If you're suffering from a lack of appetite due to nausea, gastrointestinal distress, chemotherapy, or other medical factors, these cannabis strains may help kick-start the rumblings in your stomach and induce hunger. Cannabis can offer some of the best relief for the most severe Crohn's and colitis symptoms, such as cramps, nausea, and loss of appetite. Check out this list of cannabis strains that can help alleviate these often debilitating symptoms. Interested in learning more about the recreational side of cannabis? Check out our Comprehensive Guide to Recreational Cannabis!